After less than half a year of operation, Beijing’s new Ferris wheel at Shijingshan Amusement Park has been shut down until further notice after it broke down Monday morning, stranding dozens of park visitors in mid-air. A representative for the park said a preliminary investigation revealed that the Ferris wheel had inadvertently activated its automatic power failure protection system, causing it to stall during operations. 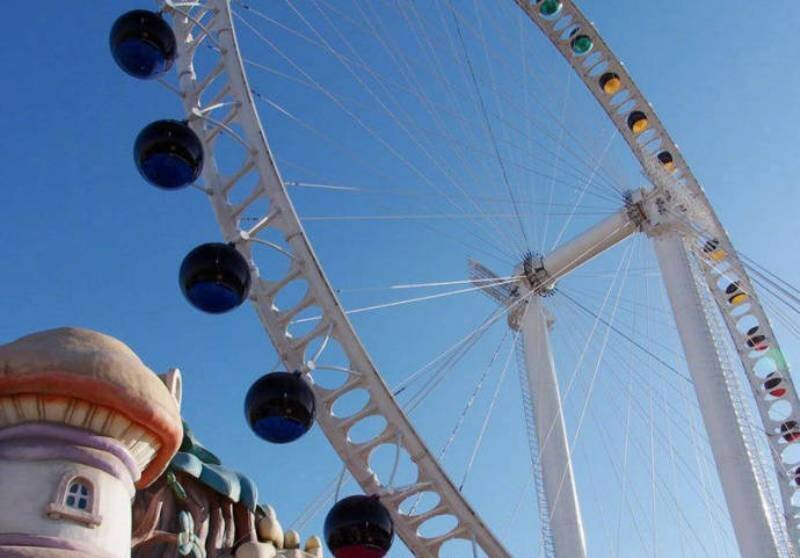 The specific reason for the malfunction remains unknown, and the park is reaching out to the Ferris wheel’s Zhejiang manufacturer for an equipment inspection to diagnose the problem. 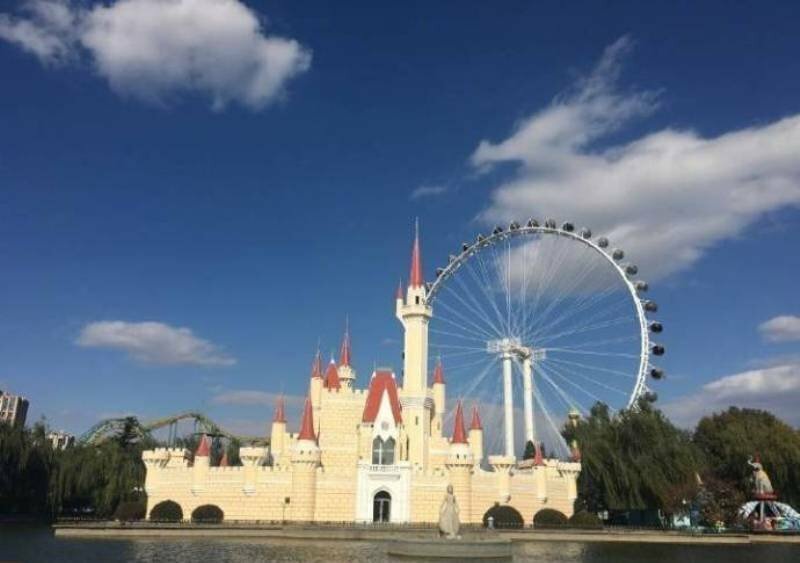 The representative emphasized to the Beijing Economic Report that there is nothing wrong with the Ferris wheel itself, but with a self-protection unit that is not considered to be part of the ride. capsules began to raise a ruckus. It may be for this reason that the ferris wheel began to fervently shake. The 100 meter-high “Dream of the Stars” at Shijingshan Amusement Park opened this past April as a way to salvage Beijing’s damaged pride after losing its chance to house the world’s tallest Ferris wheel. Amid the sky-high optimism of the Beijing Olympics, the city announced in 2007 that it was going to build a 208 meter-high Ferris wheel in Chaoyang Park. However, the $99 million “Beijing Great Wheel” stalled in 2011 after the company involved was accused of embezzlement, leaving the capital of China without a Ferris wheel to call its own. Equipped with 42 observation cabins capable of carrying eight passengers each, “the Dream of the Stars” can accommodate some 7,000 passengers a day on rides lasting 18 minutes. 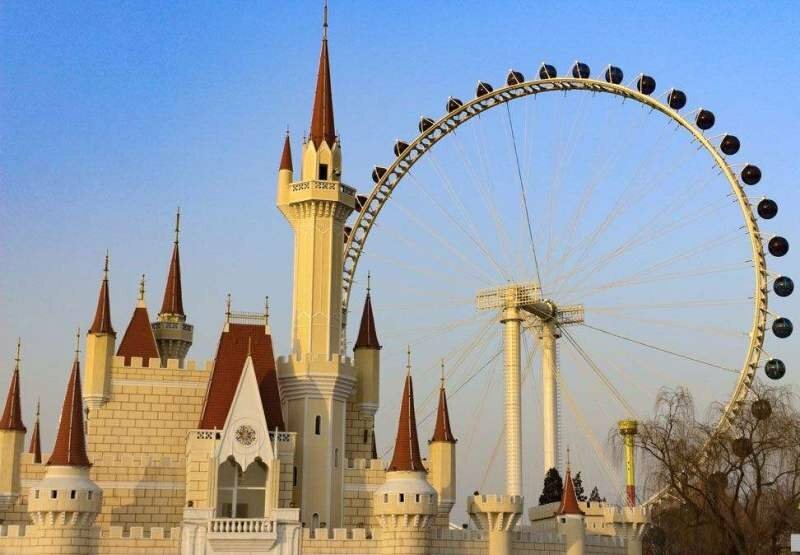 The incident also comes after the city performed a large-scale emergency rescue drill at Shijingshan Amusement Park that included a procedure that shut down Beijing’s only Ferris wheel in mid-operation. Beijing tentatively awaits the arrival of its next theme park, Universal Studios, expected to open in 2020. This post first appeared on our sister site The Beijinger. See more stories from this author here.